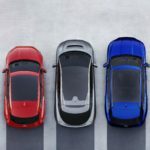 Jaguar’s electric I-PACE is voted European Car of the Year. The all-electric Jaguar I-PACE has been voted ‘Car of the Year’ at the European Car of the Year Awards 2019. This is the first time a Jaguar has won the prize. Last week, I-PACE was named UK Car of the Year and was praised for being ‘miles ahead of the premium EV pack’. 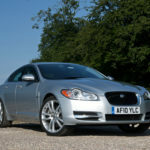 The XF is the car that put Jaguar back on the map, taking on the 5 Series and beating it in some key areas. It’s rather characterful for a start, and the XF is more fun to drive thanks to feelsome steering, along with excellent rear-wheel drive balance. Following a positive reaction to the original concept, Jaguar Classic has confirmed it will offer all-electric E-types for sale. The news follows the EV sports car’s successful debut in concept form at Jaguar Land Rover Tech Fest in September 2017. 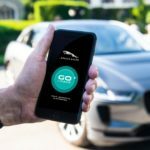 Jaguar has launched an intelligent app to help drivers experience life with its all-electric I-PACE before even getting behind the wheel. The Go I-PACE app captures journey data to calculate potential cost savings, show how much battery would be used per trip and tell users how many charges they would need in a week if they were driving the I-PACE. The new Jaguar I-PACE will form the heart of an all-new zero-emissions luxury chauffeur service to and from Heathrow Airport. 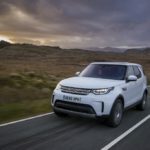 As many as 200 I-PACEs will be available at Heathrow as part of a deal with WeKnowGroup, creating one of the largest electric vehicle fleets in the UK. Jaguar has revealed a distinctive new special edition of its Jaguar XE sports saloon. The Landmark Edition features unique design enhancements and a carefully chosen specification to showcase the very best of the award-winning XE. The Landmark Edition is based on the R-Sport with the addition of unique 18-inch alloy wheels. Jaguar will livestream the global premiere of its first electric vehicle, the I-PACE, at 18:00 GMT on 1 March. 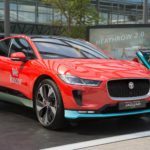 Thousands of prospective customers have already pressed the ‘I want one’ button to register their interest in the electric performance SUV, and Jaguar is responding by throwing the doors to its live-reveal wide open by hosting an online broadcast on its social channels.